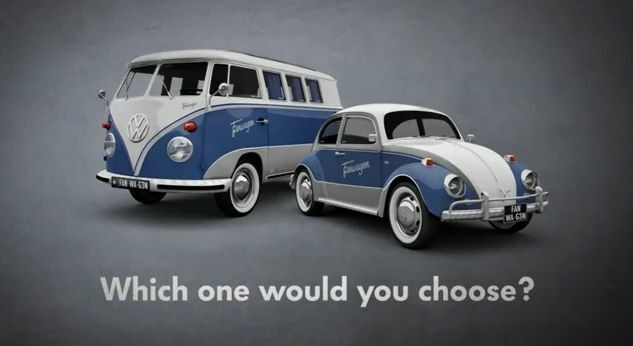 Dutch agency Achtung has created a social media campaign for Volkswagen that will result in the creation of a customized vintage Bus or Beetle. It will be called the Fanwagen and outfitted with all manner of social media goodies such as a Feed-O-Matic which will print out status update, a Poke button on the steering wheel, a Birthday notification system, a Friend finder, a relationship status notifier on the license plate and much more. Very cool. Check out the video here. The campaign invites people to vote for their favorite model. One lucky voter will win the vehicle of their choice.